petition: Hey UVA, Say No Way Chick-Fil-A! Hey UVA, Say No Way Chick-Fil-A! When Rider University, a private school in New Jersey, was considering options for a new on-campus restaurant for their student body, the administration knew there was one choice that wasn't going to fly. Chick-fil-A — a chicken fast food restaurant whose management has come under fire for their opposition to LGBTQ rights — was quickly scratched off the list. When asked to explain their decision to exclude the franchise from the running, president Gregory G. Dell'Omo and Leanna Fenneberg, its vice president for student affairs, said the decision was based on the "company's record widely perceived to be in opposition to the LGBTQ+ community." They aren't wrong. In 2012 Chick-fil-A CEO Dan Cathy sparked a public outcry for his opposition to gay marriage. And for several years, the company funneled millions to organizations with an anti-LGBTQ. Reading about Rider University's decision made me think back to when I was a student at the University of Virginia (UVA). After a long day of studying, the Chick-fil-A in The Pav has always been one of the most popular places to eat on grounds. I had decided as a student not to eat there because of the company's hateful policies. And now as an alumna, I would like to challenge UVA to be as brave as Rider and tell Chick-fil-A to get the cluck off our grounds. 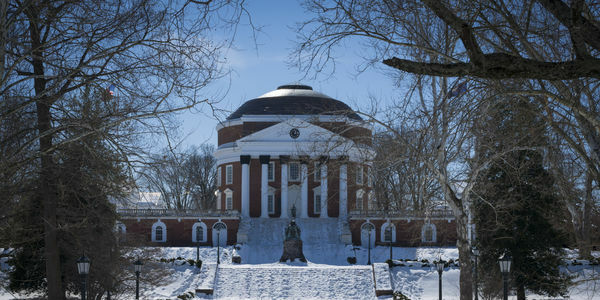 It's been years since I graduated, but as any Wahoo knows, UVA is never far from your heart. And since the tragedy of the Charlottesville Alt-Right riots, I know the city and the University have worked hard to make it an even more welcoming place to live. A place that upholds symbols of diversity and hope, not hate and discrimination. That is why I am writing this petition today. Because I believe that UVA should follow in the footsteps of Rider University and ask Chick-fil-A to leave their campus. Please help me share this message. Sign this petition and let's make sure the businesses that serve our students on campus align with the values of our school.